The Young Adelaide Voices board and management cordially invite you to attend a BLACK-TIE FUNDRAISING DINNER on Friday 3 May 2019. 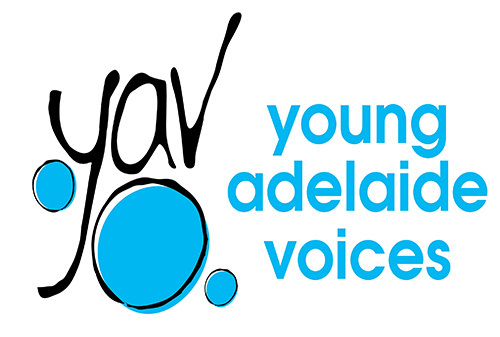 Young Adelaide Voices is Adelaide’s premier choir school and performance choir for children and young people with a proud 30-year history of transforming lives through music—nurturing young talent and building confident, resilient young adults. YAV has a well-earned reputation for musical excellence, regularly delighting audiences in Adelaide and beyond, through many award-winning interstate and international tours. Through the power of music, we help children and young people realise their creative potential and bring harmony to their community in so many ways. As an independent organisation and registered charity, YAV receives no government funding and meets its costs through membership, performance fees, sponsorship, fundraising and individual giving. Your support will help keep our musical heart beating. To book your tickets visit: https://events.humanitix.com.au/young-adelaide-voices-fundrasing-dinner or contact Tracy in our office on tel. 8362 3885, or choiroffice@yav.asn.au. We hope you can join us for a memorable evening.